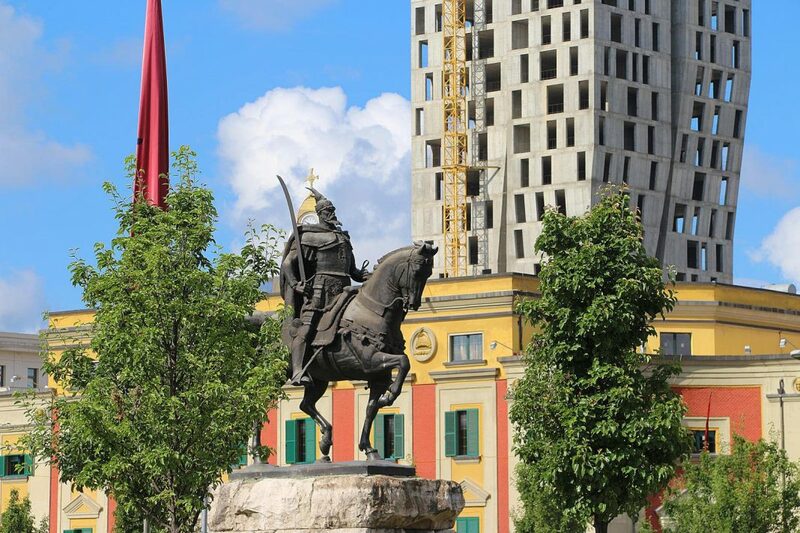 A view of Tirana, the capital of Albania. Albania has reported a surge in asylum applications. Compared to 307 requests in all of 2017, there were 3,000 asylum applications by August, according to Pablo Zapata from the United Nations High Commissioner for Refugees (UNHCR). Thousands of migrants and refugees from Syria have fled to the Balkan state. As reported by the Agence France-Presse (AFP), an EU police source in Tirana described it as an “abuse” of the asylum system, while Albania’s interior ministry says, “there are no more than 500 real asylum cases that are being examined”. Albanian authorities are concerned that Europe’s hardening stance will trap more and more migrants in their country indefinitely. “Albania does not have the capacity to receive a very large number of asylum-seekers and offer them services in line with EU standards,” said Deputy Interior Minister Rovena Voda, adding that they have asked for more support from the European Union. According to AFP, Albania was not a stop on the Balkan route followed by hundreds of thousands of EU-bound migrants in 2015, sparking a crisis in the bloc until that path was shut down by authorities in countries along the route the following year. But now Albania has become a transit country on a new route weaving through the region, bringing migrants from Asia and North Africa to Western Europe. Albania currently provides no facilities for migrants outside of the reception centre in the Babrru suburb – which has room for 200 people. Other migrants use meagre savings and asylum support to rent cheap apartments. Since January, police have intercepted 800 migrants every month travelling through Albania from Greece.